Neandertal men, or Neandertals have intrigued people since the discovery of the first fossil remains were discovered in the Meander Valley back in 1856. Early ideas about Neandertals were heavily influenced by preconceptions about human ancestry current at that time and so Neandertals were believed to be the missing link between human and ape and so Neandertals were depicted as bestial, sub-human primitives. 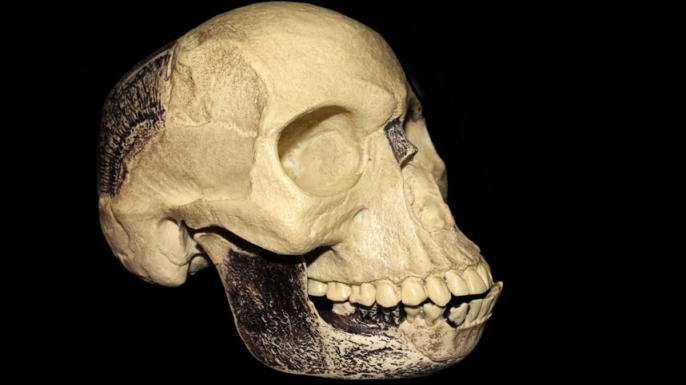 More recent research has revealed that Neandertal Man or Homo neanderthalensis was very closely related to modern Homo sapiens, perhaps even a subspecies of sapiens. More recent depictions of Neanderthals have tended to be more sympathetic, including Jean M. Auel’s Clan of the Cave Bear and the Geico cavemen. Paleontological research and the sequencing of Neanderthal DNA have taught us a lot about their appearance and habits, but not so much, what they were really like. How “human” were the Neanderthals? Were as intelligent as modern humans, or more, or less? Would they fit into modern society? Thomas Wynn and Frederick L. Coolidge attempt to answer these questions in their book, How to Think Like a Neandertal. Wynn, an archaeologist and Coolidge, a psychologist, go over the available evidence to try to reconstruct how Neanderthals really thought. This exercise necessarily requires a lot of speculation since there are no living Neanderthals to examine, but most of their guesses seem to be sound, based on the evidence they present. Wynn and Coolidge believe that Neanderthals were as intelligent as modern humans were. Judging from the artifacts they left, they were certainly not stupid. Yet, their intelligence seems to be subtly different from ours. Neanderthals did not innovate much. Their tools are much the same in design throughout their range. The tools were well made, but they lacked the sort of regional variations that are characteristic of tribes of modern humans who live far apart. The tools retain the same designs for tens of thousands of years, while the tools of even the most primitive modern humans show some development over time. Wynn and Coolidge speculate that Neandertals were very conservative in temperament and did not like the new or unexpected. Neadertals were very strong compared to modern humans and lived hard and dangerous lives. Wynn and Coolidge assert that emotionally, Neanderthals were stoic and used to dangers and injuries. They took care of injured members of their communities. 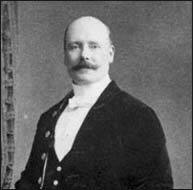 These communities or bands were rather small, perhaps no more than a dozen or two dozen individuals. Neadertals did not travel much and did not interact with other bands except on rare occasions. They do not seem to have engaged in any sort of trade between bands. Because of this, Neadertals were probably suspicious of strangers and less sophisticated in social interactions than modern humans who lived in larger communities that interacted with one another. Neadertals almost certainly had language. They had the same genes that in humans control the acquisition and use of language. There is no way now to know what their languages were like and how they compare to the languages of our time. Wynn and Coolidge believe that their language must have been different from any language used by Homo sapiens, perhaps more context specific and with more use of stock phrases as part of their conservatism. Their humor might also have been different, more physical and maybe far less use of word play. I think, though, that this subject is the one in which their speculations are less well based on available evidence. I believe that unless a Neadertal is resurrected using “Jurassic Park” technology, we simply do not have enough evidence on which to base any speculations. 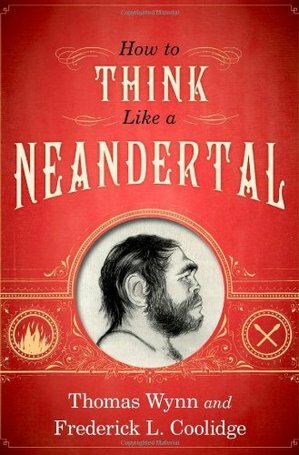 How to Think Like a Neandertal is an interesting book about an interesting people. I only wish it were possible to know more about the Neandertals. Though he had it slightly wrong. If the latest research in biology is any indication, we are, each one of us, a continent, perhaps even a world in ourselves. That is the impression I got when I read this article in The Economist. The microbiome also maintains the host’s health by keeping hostile interlopers at bay. An alien bug that causes diarrhoea, for instance, is as much an enemy of the microbiome as of the host. Both have an interest in zapping it. And both contribute to the task. Host and microbiome, then, are allies. But there is more to it than that. For the latest research shows their physiologies are linked in ways which make the idea of a human superorganism more than just a rhetorical flourish. So, each one of us is not just a single entity, but a whole community of microbes. I’ll never feel lonely again. Meanwhile, we should all be good to our bacteria, they are our closest friends.